The Pelican Chapter of Associated Builders and Contractors Inc. (ABC) was incorporated in 1980 and covers 52 parishes in Louisiana. We are a statewide, diverse, non-profit, trade association of contractors, subcontractors, suppliers and industry professionals who have joined together to advance the construction industry by aggressively supporting their mission, to promote and protect the Merit Shop Philosophy and the principles of the free enterprise system in the construction industry. Part of our mission is to meet the demand for skilled craftsmen by offering quality training courses in a variety of construction areas. 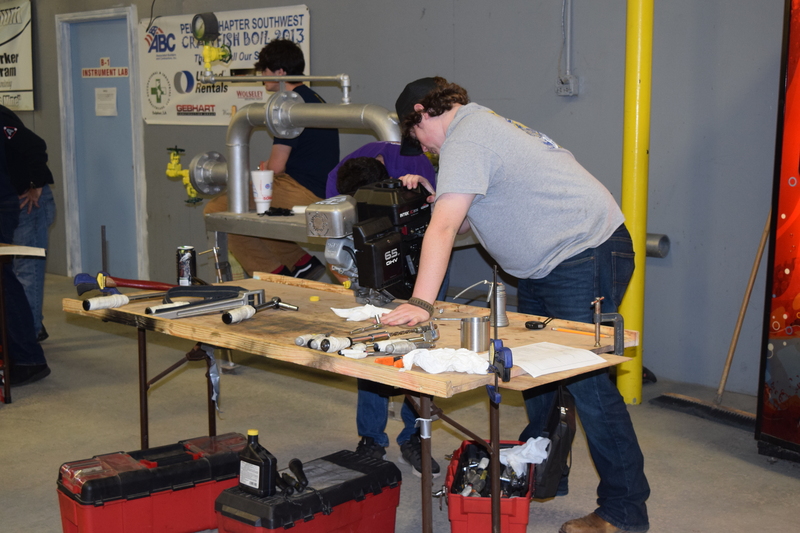 Our Southwest Training Center, located in Westlake, La., fulfills this mission by offering the following craft courses to train Louisiana’s future skilled workforce. These courses combine learning in the classroom with hands-on training, and most require a commitment to what we call "lifelong learning." Core Skills: All ABC training begins with learning the core skills of the industry. 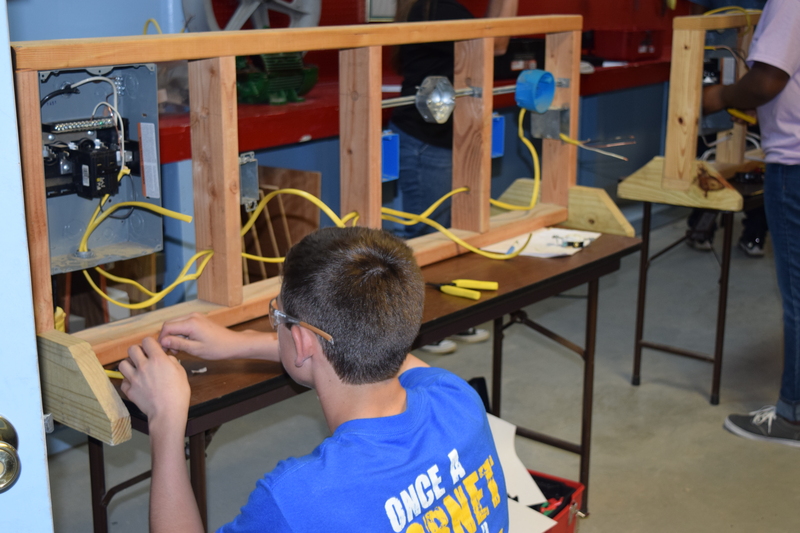 These skills include: math, basic communication, introduction to blueprint reading, the proper use of power tools, and safety. 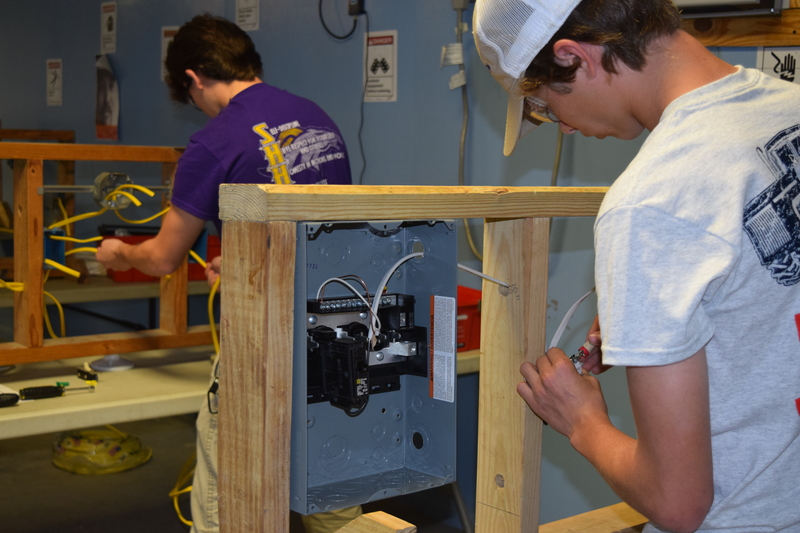 Electrical: Electricians work closely with other craft professionals to build infrastructure that makes our community a better place to live. Electricians need to have a good mechanical ability, work well with other craft professionals, interpret Blueprints, bend and install conduit systems, install and terminate wiring systems, install lighting fixtures, install motors or motorized equipment, install emergency generator systems, understand electrical circuitry, understand power distribution systems, test electrical systems, diagnose and repair electrical problems, direct and train future electricians. Instrumentation: Instrumentation is the monitoring and controlling of temperature, flow, level and pressure as it relates to controlling a process. These system controls are found in chemical plants, refineries, paper mills, power plants, and manufacturing facilities. Instrumentation consists of installation of control devices and systems, calibration and check out of instruments, and finally startup of instrument control systems. Most of today’s instrumentation process is electronic, instrument fitters and instrument technicians must work closely with the electricians as it relates to the installation, wiring and checkout of these devices. Heavy Equipment Operator (Excavation): Heavy Equipment Operators (HEOs) use machinery to move construction materials, earth and other heavy materials at construction sites, offshore oil rigs and in the mining industry. HEO is divided into dirt and hook. Dirt work refers to the operation of a variety of specialized equipment to excavate, grade and prepare land for building roads, structures, and bridges or for digging trenches to lay/repair pipelines. Dirt HEOs also spread asphalt and concrete for road construction or for building of foundations. Hook or crane work refers to the operation of a variety of specialized equipment capable of lifting hundreds of tons of materials (hanging from a hook) to heights of several hundred feet. HEOs work outdoors, in all types of climates and conditions. The weather or stage of the project may require equipment operators to work irregular hours. Some equipment can be noisy, shake, and jolt the operator. Operating the equipment can be dangerous, making the adherence to safety procedures imperative for the operator’s safety as well as all personnel on site. Working in this field requires a basic knowledge of engine mechanics; courses in science and mechanical drawing are also helpful. HEOs often obtain a commercial driver’s license (CDL) to haul equipment to the various job sites. Mobile Crane: Mobile crane operators use lifting machines to move construction materials, earth and other heavy materials at construction sites, offshore oil rigs and in the mining industry. Mobile crane operations refer to a variety of specialized equipment capable of lifting hundreds of tons of supplies and materials (hanging from a hook) to heights of several hundred feet. Modern cranes are computerized and utilize joysticks to control movement. Crane operators must set up and inspect their equipment, improve job safety and machinery performance, and make minor repairs to the equipment at times. The equipment is operated by moving levers, foot pedals, switches and joysticks. Technology, in the form of computerized controls, improved hydraulics and electronics, requires highly-skilled operators, crane operators work outdoors, in all types of climates and conditions. Millwright: Millwrights install, repair, replace and dismantle machinery and heavy equipment used in many industries. Millwrights may work in a variety of manufacturing industries, or in the construction industry, usually for a construction contractor. Millwrights are responsible for machinery from the time it arrives at a jobsite, through the stages of unloading and inspection, through moving it into position for installation. Millwrights use rigging and hoisting devices (pulleys and cables) to lift and move light machinery, or hydraulic lift-trucks or cranes for heavier equipment. Since millwrights often decide which device to use for moving machinery, they must know the load-bearing properties of rope, cables, hoists, and cranes. Millwrights consult with managers and others to determine the optimal placement of machinery. In cases where a new foundation is needed, millwrights either prepare the foundation themselves, or supervise its construction. Millwrights must know how to read blueprints and work with a variety of building materials. 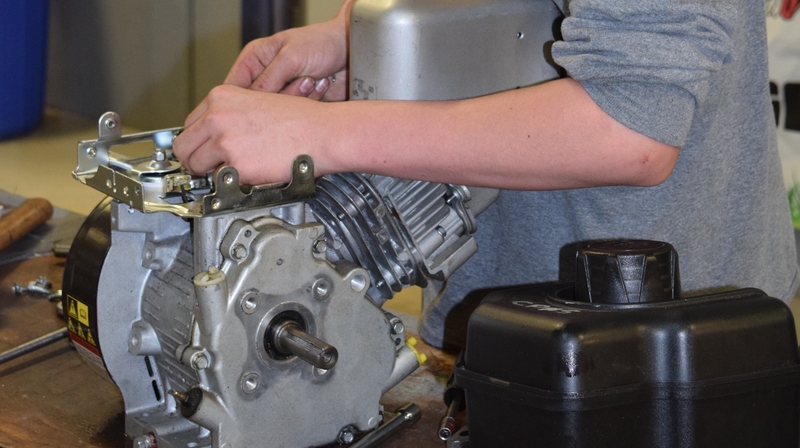 In assembling machinery, millwright’s fit bearings, align gears and wheels, attach motors, and connect belts, all according to the manufacturer’s blueprints and drawings. Alignment and leveling must be precise in the assembly process, so millwrights measure angles, material thickness, and small distances using squares, calipers and micrometers. When a high degree of precision is required, millwrights use lasers and ultrasonic measuring alignment tools. 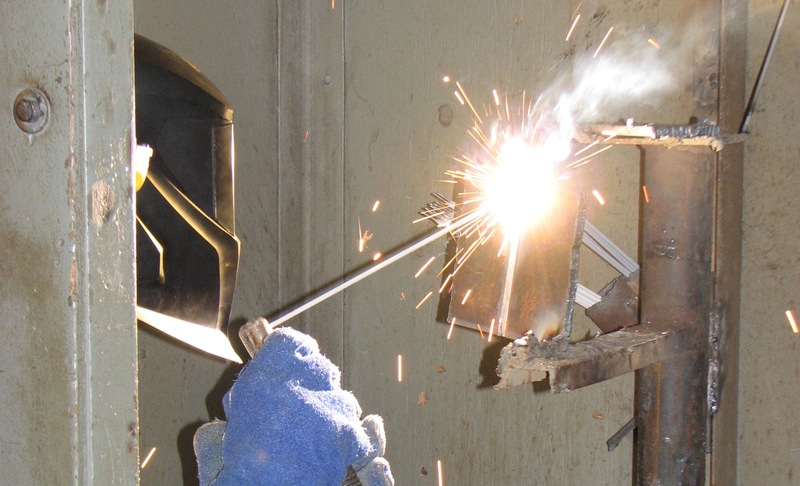 Welding: Welding is the most common way of permanently joining metal parts. There are several different types of welding, from arc welding to semi-automatic welding to fully-automated welding. 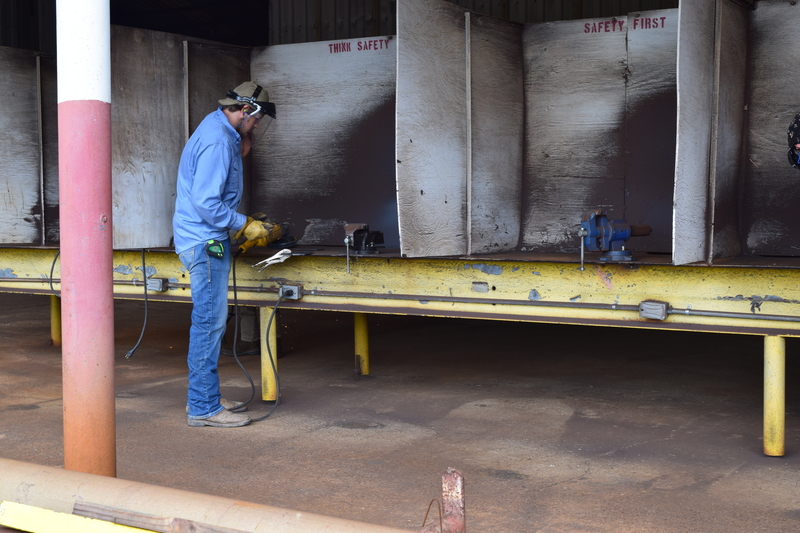 Training is necessary, as the welder works with equipment which carries a strong electrical current, and safety is an important issue. In addition, some understanding of the basic concepts of metallurgy, blueprint reading and specifications are important to know. 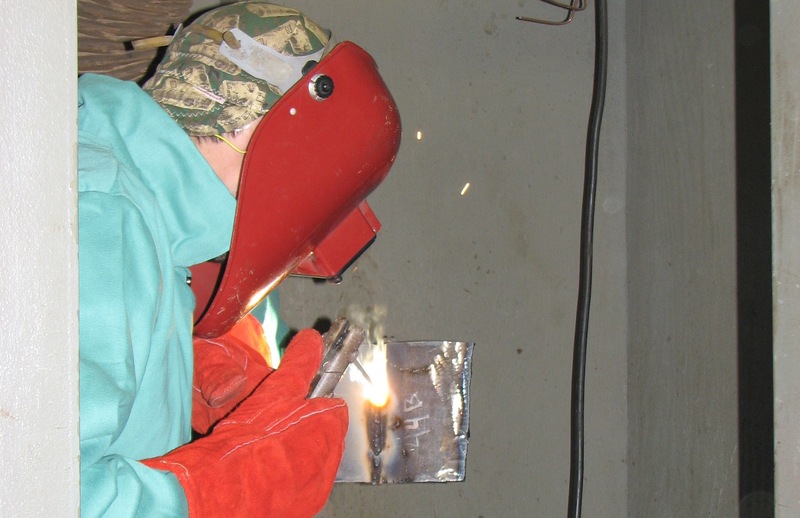 A welder’s work is commonly reviewed by non-destructive testing, as these tests can determine the quality of the weld and the welder’s skill and competency level. 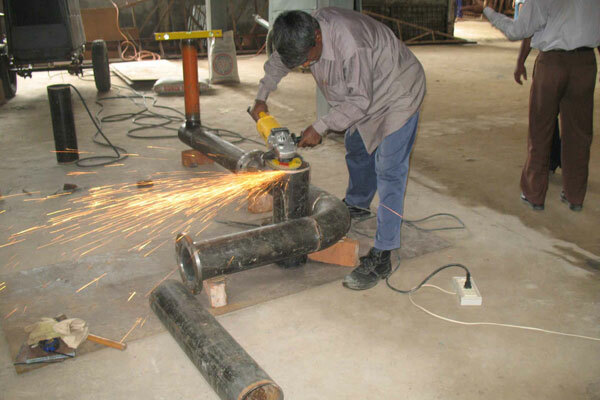 Pipefitting: Pipefitting involves measuring, cutting, bending, and joining lengths of pipe to lay out, assemble, install, and maintain pipe systems, pipe supports, and related hydraulic and pneumatic equipment for steam, hot water, heating, cooling, lubricating, sprinkling, and industrial production and processing systems. Working in this field requires the ability to read blueprints, knowledge of building code requirements, and general construction knowledge to prevent obstructions with electrical wiring and insure that the piping systems will operate correctly when construction is complete. Saws, pipe cutters, pipe-bending machines, soldering tools, and pressure gauges are power tools used to create piping systems from plastic, glass, steel, or copper.